"America has always been greatest when we dared to be great. We can reach for greatness again. We can follow our dreams to distant stars, living and working in space for peaceful, economic and scientific gain. Tonight I am directing NASA to develop a permanently-manned space station, and to do it within a decade." - US President Ronald Reagan's State of the Union Address to Congress, 25 January 1984. Reagan committed NASA to the station, its development over the next decade saw the concept, called Freedom, grow in size, complexity and cost. A change of US administration came at a time when NASA was divided about the direction of manned space flight in the 1990s and beyond. The desire to push the boundaries of exploration further to the Moon and Mars was still floundering, but there was a hope that, with international cooperation from ESA, Canada and Japan, a truly international space station, rather than just an American one, could be developed. 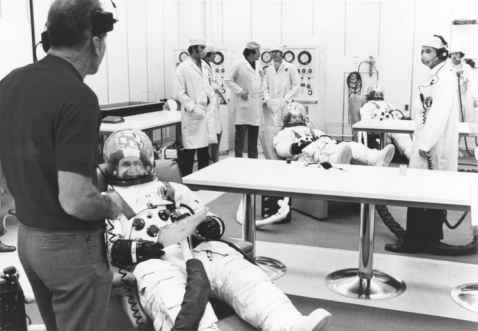 When the Soviet Union collapsed in 1991 and Russia began to look for external cooperation to support its struggling finances, the idea of joining the space station programme seemed ideal. Russian experience, hardware and facilities added to the mix would enable construction of the station to begin in 1998. In fact the first element launched was Russian, and it would be mainly Russian components that formed the nucleus of the early station until the Shuttle could deliver the American-developed hardware to allow a permanent crew to reside on the station. At least that was the plan.